Dentures are designed to withstand daily wear, but bad things happen and your partial may crack, break or even lose teeth. If you are on vacation or Christmas break, it is unlikely you will get into the dentist the same or next day. Don’t panic. It is possible to do your own at-home repair and smile through your holiday photos. There are several over-the-counter denture repair kits available (see references). Most repair kits contain a denture-approved adhesive, replacement teeth and a filing device. For breaks along the plate itself, use the adhesive to create a temporary bond. Use the filing implement to remove any rough edges that may poke your mouth. Do not fix your dentures with Super or Crazy Glue. It may be tempting to grab whatever is handy to fix your partial plate, but you could be doing more harm than good. 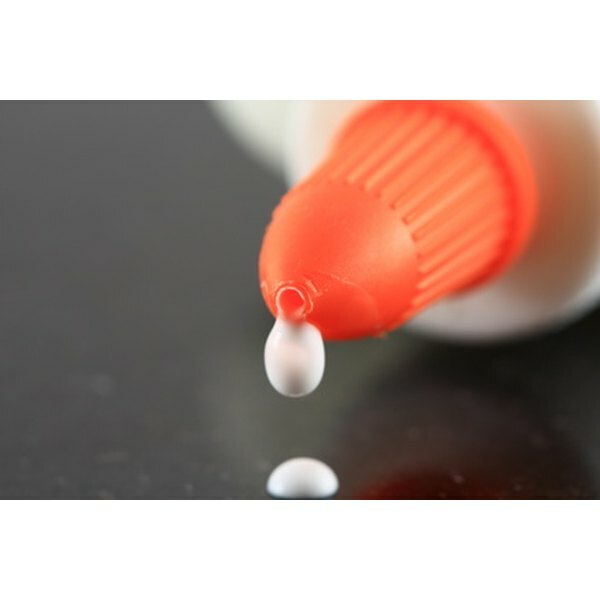 Industrial glues contain chemicals that are hazardous if ingested. Long term exposure could cause an allergic reaction and deteriorate your teeth and gums. In addition, the adhesive in superglue is flexible and may cause the crack to act more like a hinge than a solid piece, making the denture uncomfortable. Ultimately, your original dentist will have to make any permanent repairs. Since most breakages are due to improper fitting, the dentist may want to remold the plate to prevent a future breakage. Dental Health Directory: Super Glue Teeth Repair? Google: Shopping Results for "denture repair kit"